One cause of Alzheimer?s and Parkinson?s diseases is part of the aging process. Normally, your body clears out old, damaged proteins from the brain. But as you age, your body loses this ability. This causes a buildup of toxic substances that can damage organs, including your brain. And we know they can cause a number of neurodegenerative disorders. A recent study discovered how older laboratory mice could maintain their body functions. They simply had to remove these damaged proteins. The researchers found that eliminating these toxins resulted in better liver function. This study focused on the liver. But the lead author, Dr. Ana Maria Cuervo, intends to study the effects of protein clearance in the brain next. She?s not the only person who?s seeing the association between toxic proteins and the brain. The British also conducted a study on Parkinson?s disease. They found direct evidence that these proteins cause the degeneration in this disease. Identifying a problem is only the first step. Next is the need for a solution. Fortunately, there?s a way to clear toxic proteins from the brain. Not many people know about it yet. I heard about it from a colleague, neurologist Sidney Kurn, MD. He discusses it in his new book, Integrated Medicine for Neurologic Disorders (Health Press NA, Inc, 2008), along with other nutrients, that support neurological health. The solution to clearing these toxins is none other than resveratrol. Resveratrol, a nutrient I?ve talked about in the past, comes from grapes, red wine, and peanuts. Dr. Kurn found that resveratrol activates the clearance of plaque in people with Alzheimer?s disease. He believes it should work with Parkinson?s disease as well. 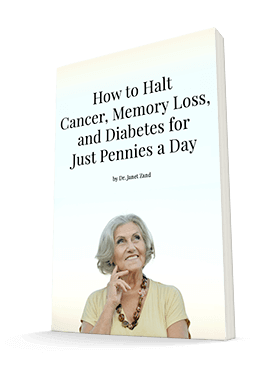 If you want to give it a try, Dr. Kurn suggests taking 200 mg per day in a single dose. Resveratrol is a potent antioxidant and anti-inflammatory. So you?re sure to get some benefit from it. If you?re already taking my favorite brand, Advanced Resveratrol Formula, all you need to do is boost your dose to four tablets per day. Each tablet contains 55 mg per pill. And all of it is the best form of resveratrol — trans-resveratrol. None of it is the less desirable cis-resveratrol. If you use another brand, make sure it has this form. To order Advanced Resveratrol Formula, simply follow this link www.sp.svassets.com/offer/AB2108_resveratrol.html. And, if you suffer from any kind of neurological condition, from Alzheimer?s to migraines, you might want to get a copy of Dr. Kurn?s book. It?s pretty technical. But it?s worth reading slowly for the excellent information it contains on herbs and nutrients. Consider giving it to your doctor, and then discuss possible solutions for your condition. You can order from any bookstore or directly from Dr. Kurn through Farmacopia pharmacy (707-528-4372). McNaught, KS, Jenner, P, "Proteasomal function is impaired in substantia nigra in Parkinson?s disease," Neurosci Lett, Jan 19, 2001. Marambaud, P, et al, "Resveratrol promotes clearance of Alzheimer?s disease amyloid-beta peptides," J Biol Chem, 2005.